I am often tempted to look at my circumstances, my lack of faith, the absence of joy, and loose grip on Christ. Yet, the Holy Spirit desires me to turn my eyes away from myself, which includes my circumstances, even my own lack of faith, my joylessness, and my wavering grip. 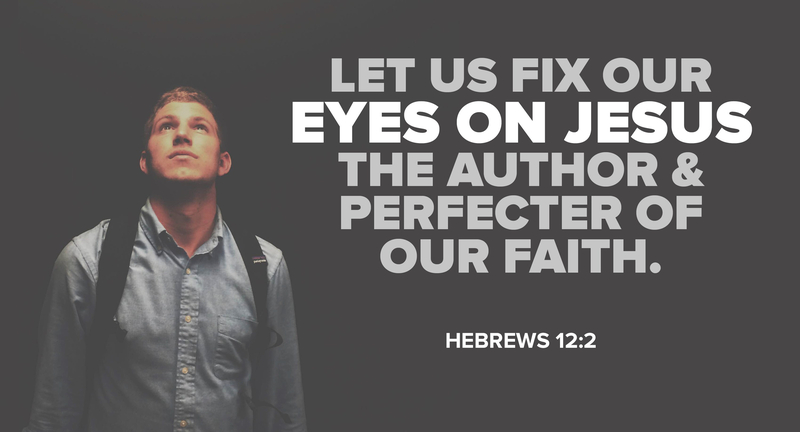 He desires that I look away from self and unto the Author and Perfecter of my faith, Jesus Christ. Allow Spurgeon to encourage you today if you often find yourself in the same boat as me! It is ever the Holy Spirit’s work to turn our eyes away from self to Jesus; but Satan’s work is just the opposite of this, for he is constantly trying to make us regard ourselves instead of Christ. He insinuates, “Your sins are too great for pardon; you have no faith; you do not repent enough; you will never be able to continue to the end; you have not the joy of his children; you have such a wavering hold of Jesus.” All these are thoughts about self, and we shall never find comfort or assurance by looking within. But the Holy Spirit turns our eyes entirely away from self: he tells us that we are nothing, but that “Christ is all in all.” Remember, therefore, it is not thy hold of Christ that saves thee—it is Christ; it is not thy joy in Christ that saves thee—it is Christ; it is not even faith in Christ, though that be the instrument—it is Christ’s blood and merits; therefore, look not so much to thy hand with which thou art grasping Christ, as to Christ; look not to thy hope, but to Jesus, the source of thy hope; look not to thy faith, but to Jesus, the author and finisher of thy faith. We shall never find happiness by looking at our prayers, our doings, or our feelings; it is what Jesus is, not what we are, that gives rest to the soul. If we would at once overcome Satan and have peace with God, it must be by “looking unto Jesus.” Keep thine eye simply on him; let his death, his sufferings, his merits, his glories, his intercession, be fresh upon thy mind; when thou wakest in the morning look to him; when thou liest down at night look to him. Oh! let not thy hopes or fears come between thee and Jesus; follow hard after him, and he will never fail thee. Lovely post. Especially love the hymn verse at the end. Way, way good stuff. Profound.